Comparing the "TECNO L8 PLUS" and "TECNO BOOM J8" let take out time to see the difference in core specs between these two latest and amazing Tecno smartphone devices, Tecno L8 Plus and Tecno Boom J8. While Tecno L series might boast of huge battery capacity, Tecno J series on the other hand can easily boast of super sound quality for "music" lovers. The Boom player. 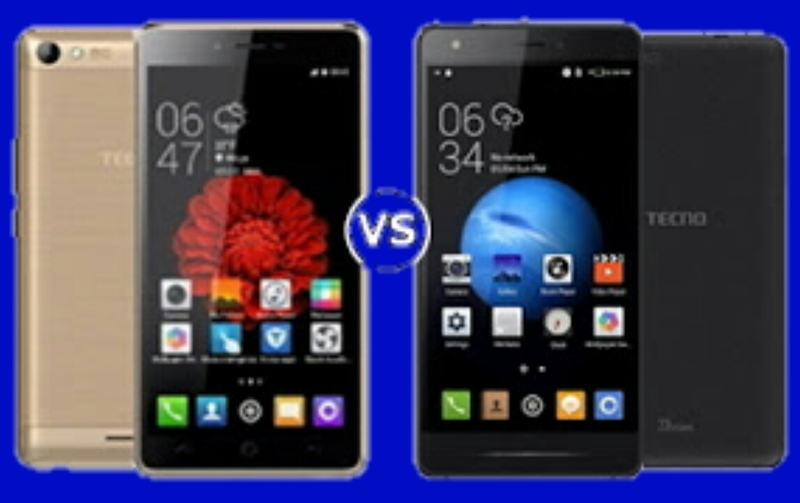 These two devices are apparently new in the market and you might contemplate on which of the devices to go for if you are planning to get for yourself a new Tecno devices. Touted as the most disruptive mobile phone brand in the market and well known for their periodic upgrades on mobile specifications, TECNO has pushed its stellar reputation to new heights with the official unveiling of the latest smartphone. (This comparison will help you spot out their core differences & can also assist you in making a better selection based on your specs preference). Without wasting any time here, here are the major differences between "Tecno L8 Plus" & "Tecno Boom J8". » 3. Is in camera pixel; Tecno L8 Plus spots a back shooter of 8MP and 2MP selfie camera, while Tecno Boom J8 features a 13MP back camera with 5MP front shooter. » 4. is in their battery capacity; Tecno L8 Plus packs a 5050mAh Li-ion battery whereas Tecno Boom J8 came with 3000mAh battery. Tecno L8 Plus is currently selling at the price range for "$190" "N37,000" and while Tecno Boom J8 sells for "$200" "N40,000"
This the major features that you need to know before making a choice. always have it in mind that other core features not listed up above are similar to both devices, we only gives you our comparison for the both Tecno smartphones.